The closure will cost the town of 5,000 people almost half of its tax revenue. The state Department of Labor says the LePage administration has 60 days to find a buyer for the mill, which has operated since 1930. 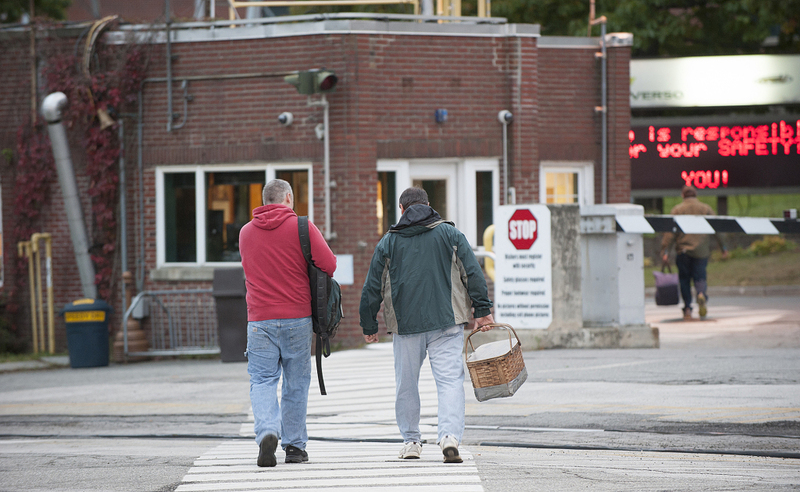 Millworkers enter the Verso mill in Bucksport on Thursday morning. 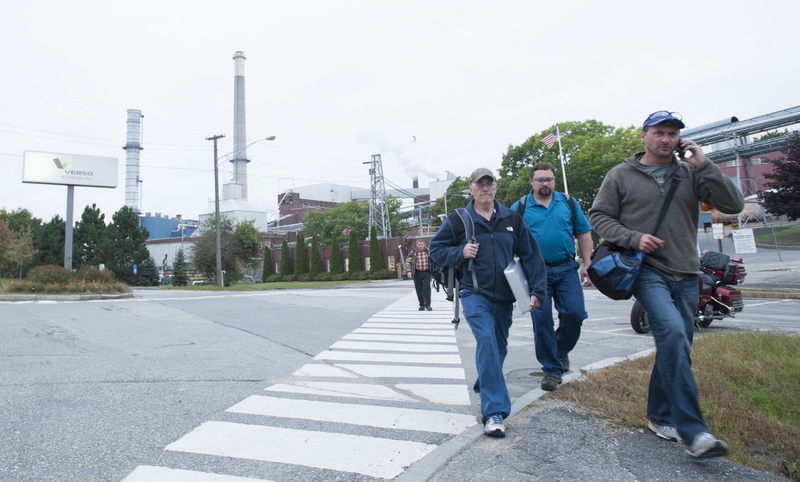 Hundreds of mill workers from across the state will find themselves without jobs at the beginning of the holiday season after Verso Paper Corp.’s sudden announcement Wednesday that it will close its paper mill in Bucksport effective Dec. 1. 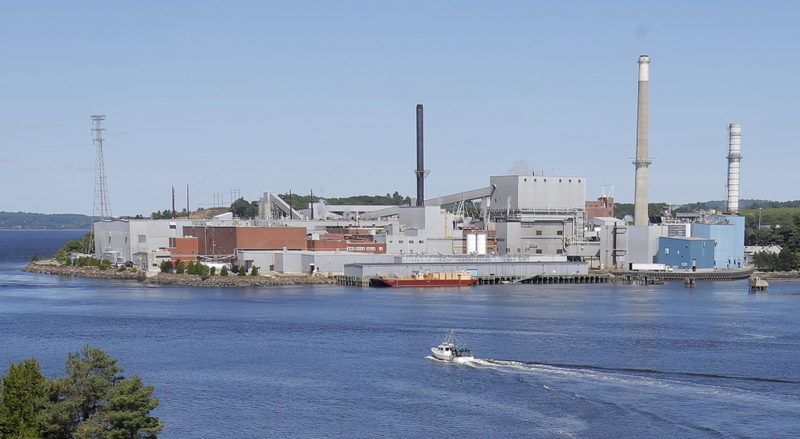 More than 500 employees will be out of work in the third mill closure in Maine this year, dealing a severe blow to the town of 5,000 people, which derives 47 percent of its tax revenues from the Verso mill. 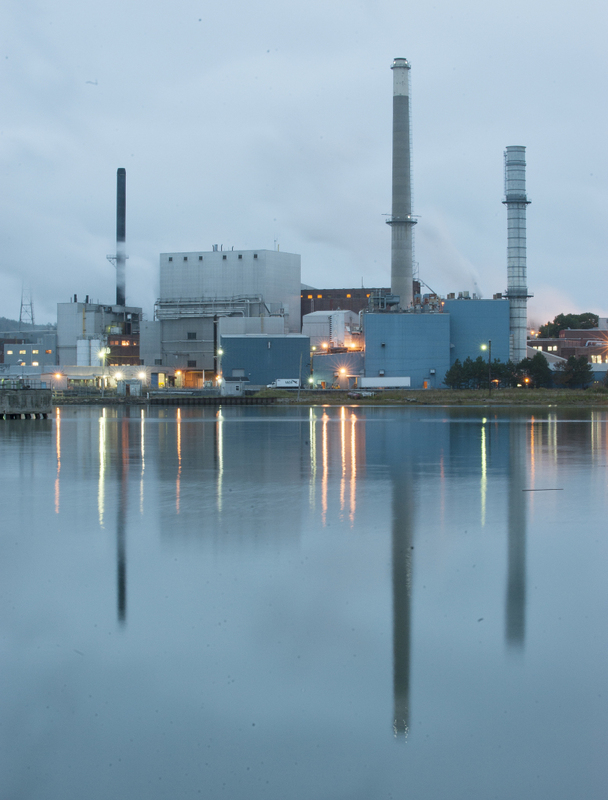 A gas-fired power plant that the company operates on the same property will remain open, and state and town officials said it was unclear if the 70 workers who staff it will be affected by the closure. Town officials said losing the more than $4 million in taxes paid by Verso each year would force them to reduce municipal and educational services. “The Bucksport mill unfortunately has not been profitable for a number of years, in spite of our employees’ dedicated efforts to make it so. Our assessment indicates that it is impossible for the mill to achieve profitability in today’s marketplace,” Dave Paterson, Verso’s president and CEO, said in a statement posted on the company’s website. 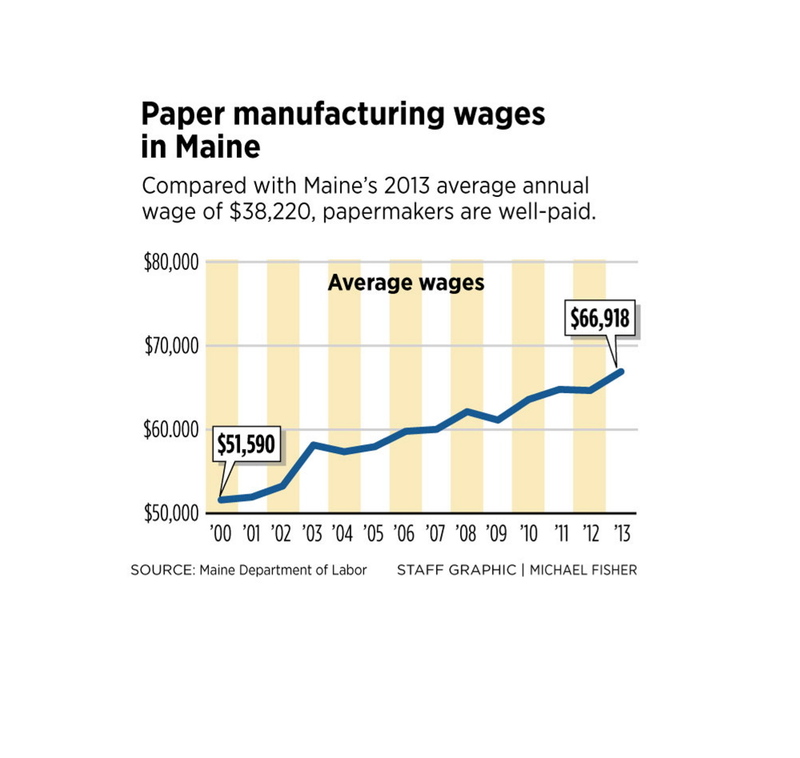 The Maine paper industry, which has been reeling from weak demand, high energy costs and foreign competition, has seen its workforce cut by half since 2000. 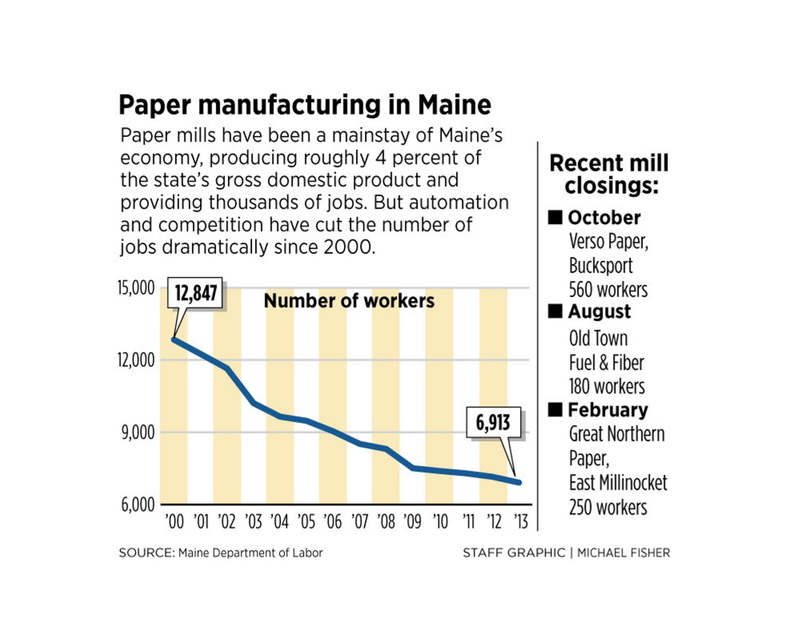 Paper manufacturing employed 12,847 people in Maine in 2000, but it had dwindled to 6,913 by 2012, according to data provided by the state Department of Labor. The department’s Rapid Response team will meet with union officials and company representatives to set up a plan of action for helping employees find new jobs or get retrained, said department spokeswoman Julie Rabinowitz. Rabinowitz said Gov. Paul LePage and his staff have 60 days to find a buyer for the mill, which began operations at the head of Penobscot Bay in 1930. LePage will hold a news conference to discuss the mill closure at 2:30 p.m. Thursday at Maine Military Supply in Holden. Verso Paper is headquartered in Memphis, Tennessee, and owns three paper mills, including two in Maine and one in Michigan. Its paper products are used in media and marketing applications, including magazines, catalogs and commercial printing. The closure will reduce Verso’s annual coated groundwood paper production capacity by about 350,000 tons and its specialty paper production capacity by about 55,000 tons, or about 39 percent of Verso’s output in Maine. Its Androscoggin Mill in Jay produces more than twice the amount of pulp as the mill in Bucksport, and about one-third more paper. In February, Great Northern Paper furloughed 216 workers at its East Millinocket mill and has since filed for bankruptcy. In August, Old Town Fuel and Fiber announced it was closing its pulp operation and laying off 180 people. That facility is now for sale. Verso is trying to merge with NewPage Holdings, but it has turned into a protracted negotiation that has gone on since January. Verso Paper is on track to complete the merger by the end of the year, according to its most recent Securities and Exchange Commission filing. 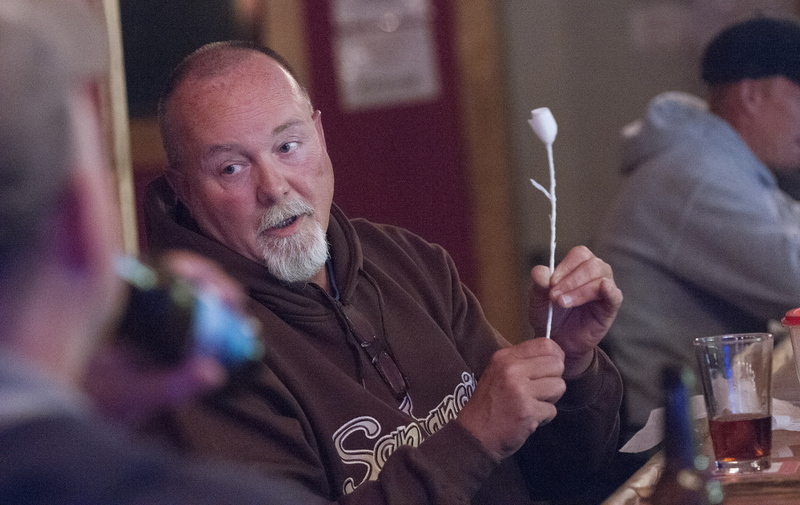 Dave Milan, 55, has lived nearly all his life in Bucksport, attending high school there and working at one time as the town’s deputy police chief. Currently Bucksport’s director of economic development, he said the mill has provided a livelihood for generations of Bucksport families. Milan said the company told him that it employs workers from every county in Maine, including Cumberland and York counties. Those employees travel to Bucksport every week and stay in rented apartments. He estimates that about 25 percent of the mill’s workforce lives in Bucksport, with a heavy concentration of mill employees living in Orland, Prospect and Verona Island. Milan said he learned about the closure after the company held a late Wednesday afternoon news conference. He spoke with mill workers afterward. Milan said the paper mill produced various products, including the yellow-colored packets that hold Splenda, an artificial sweetener. “I always like to tell people that when they pick up a packet of Splenda, they are picking up a piece of Bucksport,” Milan said. Previous town administrations had the foresight to create a reserve fund, out of concern that the paper mill might someday close, said Town Councilor David Kee. That rainy day fund totals more than $8 million, Kee said. “Bucksport is a vibrant community. It will bounce back,” he said. Tim Craig, 56, got a job in the mill after he graduated from Bucksport High School in 1976, joining his father at the mill and many of the boys in his class. He made more money that first year at the mill than his college-graduate brother made working as a teacher. Wednesday’s announcement did not surprise him because everyone who works at the mill knew it was struggling. Craig is a truck driver who transports garbage from the mill to the incinerator in Orrington. He earns $22 an hour, which is one of the lower-paying jobs at the mill. Matthew Cote, who owns Ramona’s, said he is already thinking about cutting staff and the bar’s hours, although he is waiting to see the impact of the closure before making any changes. Phyllis Brown, a bartender at Ramona’s, noted that only a quarter of the mill’s workers live in Bucksport. Maine’s U.S. Sens. 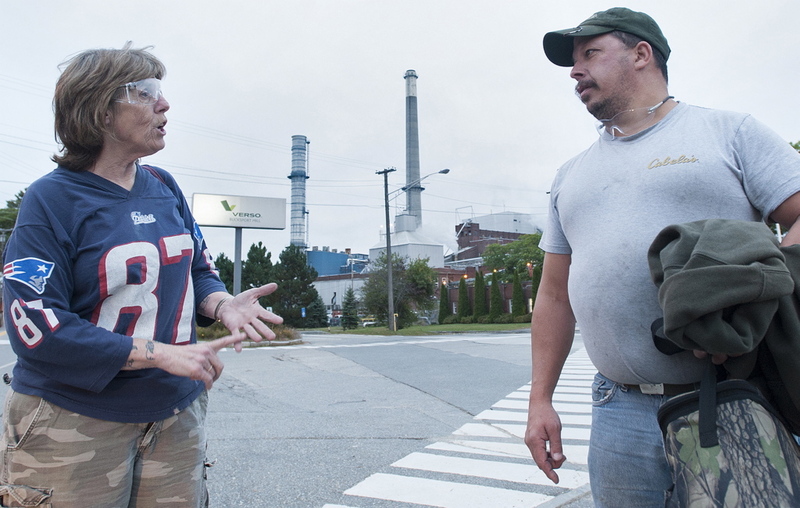 Susan Collins and Angus King issued a joint statement on the mill closure. Collins and King criticized the mill’s operators for not giving workers more notice. “Given the harm its decisions will cause more than 500 workers and their families, it would have been helpful if the company had worked more closely with the workers, community and the state to identify ways to lessen this blow,” King and Collins said. John Williams, president of the Maine Pulp and Paper Association, said news of the Verso mill closure came as a shock to him. “I hadn’t heard anything about it until this afternoon,” Williams said Wednesday. Mergers such as the one proposed between Verso and NewPage Holdings often involve consolidation, but Williams did not expect the Bucksport facility to be a target for closure. NewPage has a facility in Rumford. The closure, Williams said, is the continuation of a trend. Staff Writers Tom Bell in Bucksport and J. Craig Anderson contributed to this report.